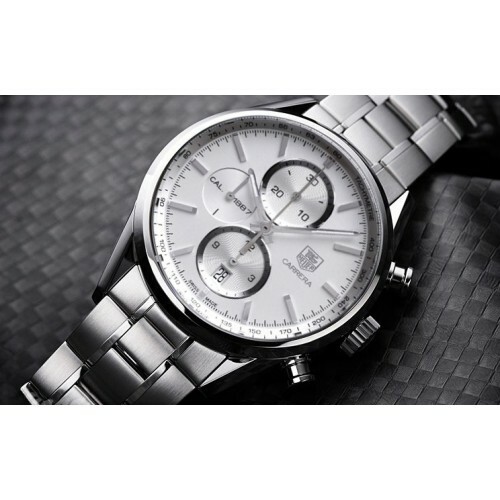 Tag Heuer Carrera Calibre 1887 it is a stylish watch powered by a quartz movement.Silver stainless steel casing and dial of a watch is shining silver with silver seconds and hours hand, covered by a sapphire crystal clear glass. Date function is at 6 o'clock position. Bracelet of watch is stainless steel silver color. 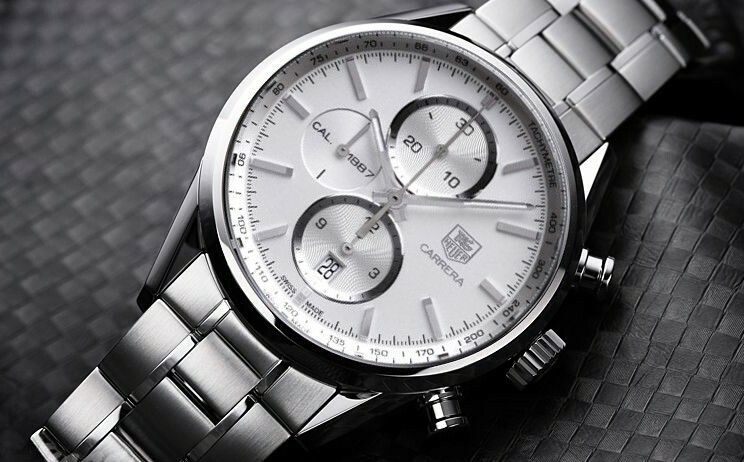 Tag Heuer logo is engraved on crown.